Entering the control room at Three Mile Island Unit 1 is like stepping back in time. 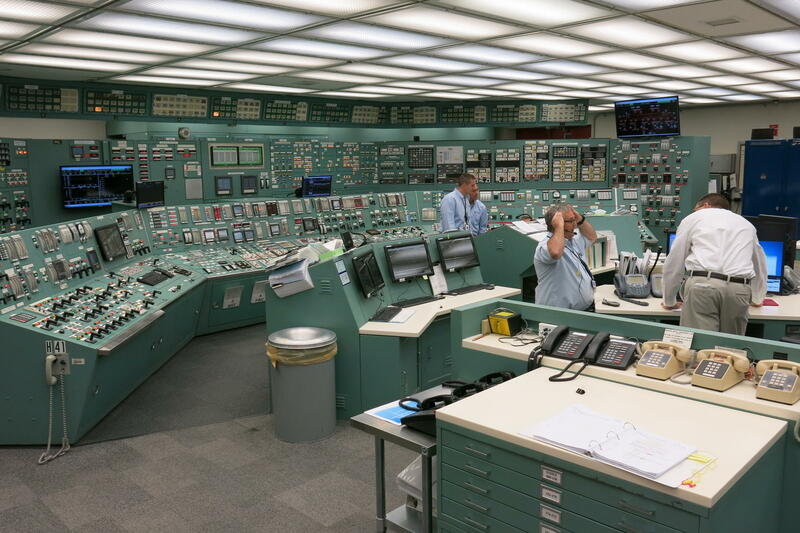 Except for a few digital screens and new counters, much of the equipment is original to 1974, when the plant began generating electricity. "If you are concerned about climate change, or concerned about the environment, you should be very concerned about the future of [Three Mile Island]," says David Fein, the senior vice president of state governmental and regulatory affairs at Exelon, which owns Three Mile Island Unit 1. "The reason that almost all of our students come into this field is climate change," says Dennis Whyte, head of the Department of Nuclear Science and Engineering at the Massachusetts Institute of Technology. The surge in new engineers comes as the nuclear industry, just like coal, is struggling to compete against cheaper natural gas and renewable energy. The Nuclear Energy Institute estimates that more than half of the nation's 99 nuclear reactors are at risk of closing in the next decade. President Trump has ordered Energy Secretary Rick Perry to take steps to help financially troubled coal and nuclear power plants, though he has cited the reason as grid resilience and national security. But nuclear plant operators are echoing young engineers like Dewan as they lobby for public subsidies to keep reactors open. "If you are concerned about climate change, or concerned about the environment, you should be very concerned about the future of [Three Mile Island]," says David Fein, Exelon's senior vice president of state governmental and regulatory affairs. TMI parent company Exelon announced last year it will close Three Mile Island Unit 1 in 2019 unless there are policy changes that would make the plant profitable again. A different reactor on the site near Middletown, Pa. — Unit 2 — was involved in the country's worst nuclear accident in 1979. Fein is among those who argue that nuclear plants should be recognized as clean energy and paid for the public benefit of not emitting greenhouse gases or other pollutants. It's a strategy that has worked in other states: Illinois, New York and — most recently — New Jersey. Opponents of new subsidies include anti-nuclear activist Eric Epstein with the watchdog group Three Mile Island Alert. "If you consider nuclear green then you have to ignore high-level radioactive waste," he says. The federal government still doesn't have permanent storage for that waste, and Epstein says there are the environmental costs of uranium mining to consider as well. Others question giving nuclear plants public money that could be used for renewable energy instead. "It really is this sort of philosophical battle: Are we building the energy economy of the future? Or are we just, sort of, keeping with the status quo?" says Abe Silverman, vice president for regulatory affairs group and deputy general counsel for NRG, which has opposed state subsidy proposals. The nuclear industry thinks it has a good chance of persuading people to support its side of this debate. Ann Bisconti, who does opinion research for the industry, says a lot fewer people oppose nuclear energy now than just after the Three Mile Island accident. "People have moved, very much, into middle positions — they're very mushy on nuclear energy," Bisconti says. And that creates an opportunity to win them over by talking about the need for nuclear to limit the effects of climate change, she says. "You can't get there without nuclear in the fuel mix," says Chris Wolfe, who works as a generation planning engineer at South Carolina Electric & Gas and is on the board of North American Young Generation in Nuclear. Despite the industry's struggles, the U.S. still gets a fifth of its electricity from nuclear, and there are jobs to be had. The number of nuclear engineering degrees awarded each year peaked in the late 1970s. Then it dropped steadily amid the Three Mile Island partial meltdown in Pennsylvania and the Chernobyl disaster in the former Soviet Union. Numbers started to climb again in 2001 as talk of climate change increased. That left an age gap in the nuclear workforce, with many now ready to retire. "Baby boomers are leaving the industry, so there are a lot of job opportunities," says Wolfe. Wolfe chose to work at a utility for job security, but she is cheering on nuclear entrepreneurs like Dewan, who co-founded a startup business called Transatomic Power. She says the company has raised about $6 million from investors. 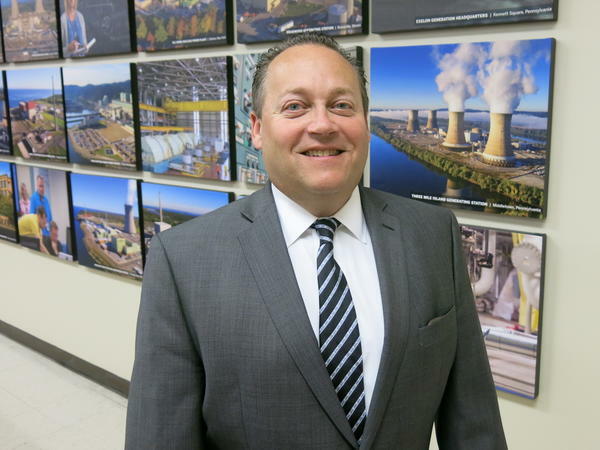 "We're adapting something that's called a molten salt reactor that was first developed in the very, very early days of the nuclear industry — back in the 1950s and 1960s," Dewan says. With modern materials and a few changes, she believes such a reactor can be financially viable today. Her company's first design aimed to use spent nuclear fuel to generate electricity. But it turned out some of the calculations were wrong. Still, she says this new design would produce about half the waste of existing nuclear plants. And Dewan says it's safer because the effects of a meltdown would be limited to the plant site. "Part of why we started this company is that we wanted the type of nuclear reactor that people would want to have in their communities," says Dewan. That's a hard sell to anti-nuclear activists like Epstein. "I'm seeing the same arrogance I saw in the '70s," he says. "I think the new generation is like the old generation, in that they view themselves as flawless high priests of technology." Dewan sees that skepticism as a legacy her generation will have to address. But she thinks the problem of climate change is too important to give up on nuclear energy now. Molly Samuel of member station WABE contributed to this report. The nuclear industry is struggling. It can't compete with cheaper natural gas. Half the country's reactors are at risk of closing. And yet the number of people getting degrees in nuclear engineering has tripled in recent years. NPR's Jeff Brady looks at what's motivating many of them. JEFF BRADY, BYLINE: Ask this new generation of nuclear engineers why they got into the field, and their passion may surprise you. LESLIE DEWAN: So I'm here because I think I can save the world with nuclear power. BRADY: Leslie Dewan pitched her design for a new kind of reactor a few years back. She says climate change and the fact that nuclear plants emit no greenhouse gases are the big reason she became a nuclear engineer. And she's not alone. Dennis Whyte heads the Nuclear Science and Engineering Department at the Massachusetts Institute of Technology. Over the years, he's had many conversations with students like Dewan. DENNIS WHYTE: I would talk with them about their motivation for coming into the field. It was just inevitably around clean energy. BRADY: Whyte says it's sobering to look at what's required to reduce greenhouse gas emissions to limit the effects of climate change. Chris Wolfe works for a South Carolina utility and agrees. CHRIS WOLFE: You can't get there without nuclear in the fuel mix. BRADY: The number of nuclear engineering degrees awarded each year peaked in the late-1970s, then it dropped steadily amid the Three Mile Island partial meltdown in Pennsylvania and the Chernobyl disaster in the former Soviet Union. Numbers started to climb again in 2001 as talk of climate change increased. That left an age gap in the nuclear workforce with many now ready to retire. WOLFE: Baby boomers are leaving the industry, so there are a lot of job opportunities. BRADY: After all, the country still gets a fifth of its electricity from nuclear. Wolfe chose to work at a utility for job security, but she's cheering on nuclear entrepreneurs like Leslie Dewan, the person who wants to save the world. Dewan cofounded a startup business called Transatomic that has raised about $6 million from investors. DEWAN: We're adopting something that's called a molten salt reactor that was first developed in the very, very early days of the nuclear industry back in the 1950s and the 1960s. BRADY: With modern materials and a few changes, she believes such a reactor can be financially viable today. Her company's first design aimed to use spent nuclear fuel to generate electricity, but it turned out some of the calculations were wrong. Still, this new design would produce about half the waste of existing nuclear plants. And Dewan says it's safer because the effects of a meltdown would be limited to the plant site. DEWAN: Part of why we started this company is that we wanted the type of nuclear reactor that people would want to have in their communities. BRADY: That's a hard sell to anti-nuclear activists like Eric Epstein of the watchdog group Three Mile Island Alert. At Pennsylvania's Capitol building, where he's lobbying against subsidies for nuclear plants, Epstein says he doesn't trust this new wave of nuclear engineers. ERIC EPSTEIN: I'm seeing the same arrogance I saw in the '70s. I think the new generation is like the old generation in that they view themselves as flawless high priests of technology, that they have the answer. BRADY: Leslie Dewan sees that skepticism as a legacy her generation will have to address. But she thinks the problem of climate change is too important to give up on nuclear energy now. Jeff Brady, NPR News. (SOUNDBITE OF LANTERNS ON THE LAKE'S "OUR COOL DECAY") Transcript provided by NPR, Copyright NPR.